Unfortunately, the news about many of our region's other salmon and steelhead populations is far less encouraging. 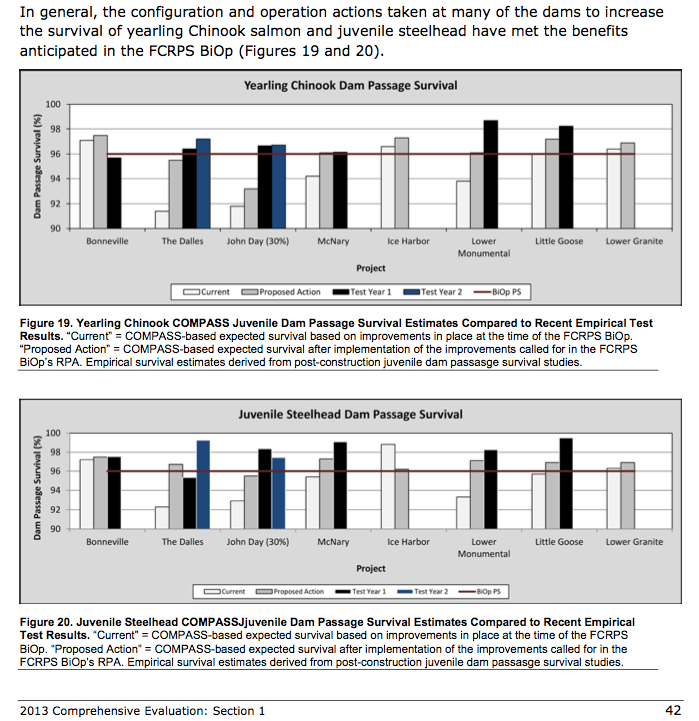 And the future for all the basin's endangered wild salmon remains very much in doubt. Amid this busy fishing season, federal agencies have released a draft of their latest plan to restore endangered Columbia-Snake salmon. Ironically, the government's fourth attempt in 12 years to craft a legal Biological Opinion calls for rolling back the very provisions that helped bring our iconic fish home this year -- most notably additional spill. For years the Bonneville Power Administration and the other agencies have resisted calls by fishing and conservation groups, the State of Oregon, the Nez Perce Tribe and the federal judiciary to develop a recovery plan guided by science and law. The recently released draft plan fails to address the issues that forced the court to reject the three previous versions. Worse, it would cut back on existing critical protections for wild salmon, including spilling water over dams to aid young salmon's spring-summer migration to the ocean. Rather than build on this limited success, the agencies want to take us backward. The federal court began ordering increased spill in the spring and summer in 2006, and wild salmon -- and fishing businesses -- have benefited greatly. While current court-ordered spill levels have aided endangered populations, 13 Columbia Basin stocks remain at risk of extinction. More help is needed. Spill is our most effective near-term measure for restoring wild salmon and steelhead, allowing the river to flow more naturally and speeding fish more quickly and safely to the ocean. Science tells us that more spill -- not less -- is one of the most effective immediate actions we can take. Many state, federal and tribal scientists believe greater spill actually could recover some at-risk Columbia River populations. But the agencies' draft plan ignores the scientists, their findings and their call for an enhanced spill test. Unless their final plan, due in January, incorporates the spill test and other significant improvements, the federal agencies will surely plunge our region into yet another expensive, time-consuming round of litigation. Lasting peace in the Columbia Basin depends on leadership from our elected officials. They can call all interests to the table to consider all credible recovery options, including but not limited to restoration of a free-flowing lower Snake River. Energy interests, farmers, shippers, tribes and communities in other areas have forged joint solutions -- some involving removal of aging, costly dams -- to restore fisheries and local economies.